Looking for an island escape? 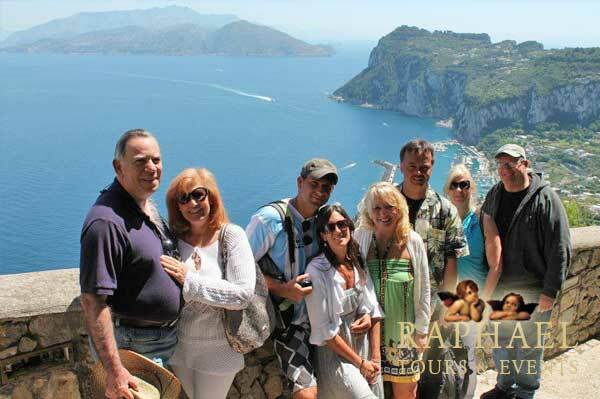 Join us for a fun-filled tour of the magnificent Island of Capri. Situated in the Tyrrhenian Sea off the Sorrentine Peninsula, it is on the south side of the Gulf of Naples in southern Italy’s spectacular Campania region. 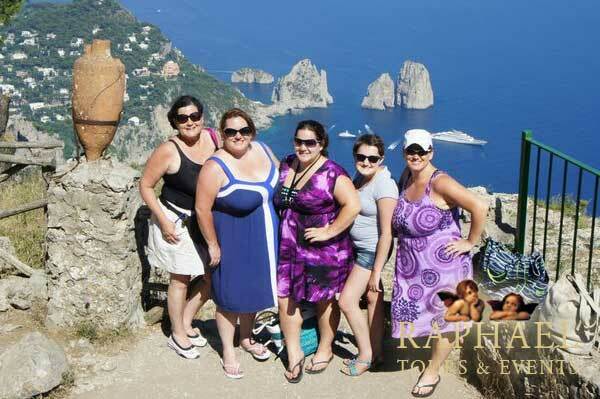 Long a get-away for VIPs, Capri was the playground of Roman Emperors. Today it is host to writers, artists and celebrities of music and movie fame. Known around the world for its Blue Grotto, the Grotta Azzurra, lovely Capri is filled with birds, flowers and lemon trees. Beaches line its shores, lapped by gentle waves. Capri is located just above Marina Grande. Further up is Anacapri, the higher town. 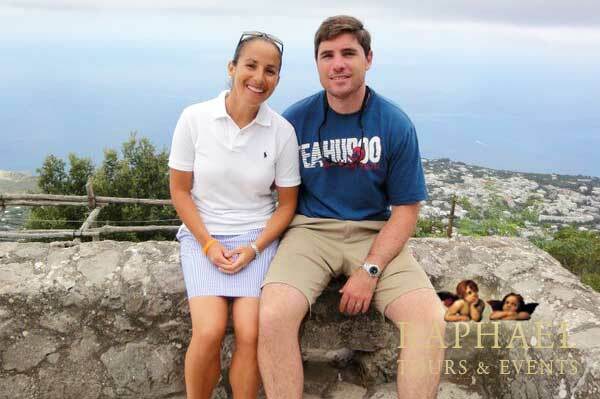 Tours of Capri guides and drivers are experienced, capable and trustworthy. They’ll take you on a holiday you’ll never forget! Meet your English-fluent guide right in your hotel lobby for a day you’ll never forget. Starting at Marina Grande, Capri’s main pier, you’ll visit Grotto Azzurra, the Blue Grotto (weather permitting). You’ll travel the unique Mamma Mia Road, with its fantastic views. Often called the “Oh My God Road,” it’s an adventure to remember, with its Cliffside switchbacks. Then it’s on to to Anacapri, where a 10-minute chairlift ride brings you to Monte Solaro, 589 meters above sea level. ¡Magnifico! Atop Monte Solaro are awe-inspiring views of the Gulf of Naples, the islands of Ischia and Procida, the lower peaks, and villas nestled into the hillsides. You’ll spot vineyards and olive groves. Seeing the headlands of the coast, the Peninsula of Sorrento and Mt. Vesuvius from this vantage point are images you will never forget. Also interesting in Anacapri is the Villa San Michele. Built by Swedish writer and doctor Axel Munthe, it boasts lovely gardens, art and relics. We’ll stop for a photo, some lunch and free time. We’ll tour the quaint streets of Piazzetta. This is a hot spot where glitterati, tourists and locals come to see and be seen. Streets are lined with designer shops and outdoor cafés. Then it’s the lush and lovely Augustus Gardens perched above the sea. Be sure to have your camera ready for a terrific view of the Faraglioni, the limestone sea stacks that jut from the turquoise Mediterranean. We’ll enjoy some free time to explore. We’ll end our tour with an exhilarating funicular (cable car) ride for our return to Marina Grande. Include the tour of Capri in your Italian itinerary for a day of discovery you’ll always remember. Augustus Gardens, Blue Grotto (if weather permits, Marina Grande, Piazzetta, Funicular, Anacapri, Chair Lift, Faraglioni, Villa San Michele, Monte Solaro, Mamma Mia Road.